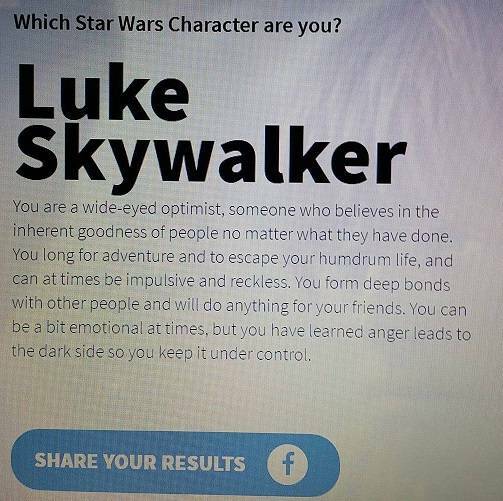 Which Stars Wars character are you? 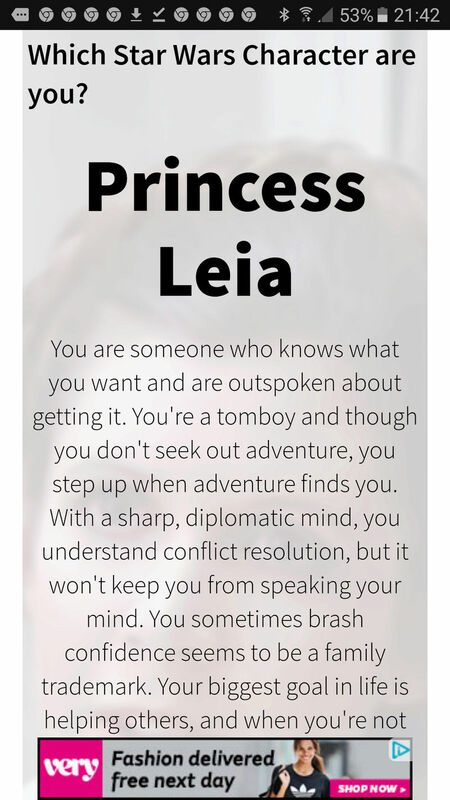 Re: Which Stars Wars character are you? Rogue, I thought that too, so many questions!! How many questions??? Haha I thought it'd never end!!!! I got Luke as well. That surprises me Solace, we usually get the same in these quizzes! Haha I did a screenshot last night but only just worked out how to get it on here!!! Well I sort of did lol!!! @Stirky wrote: That surprises me Solace, we usually get the same in these quizzes! Yea, i was surprised too!